There’s a new kid’s bedroom decoration kit in town and it’s looking pretty good! Dulux have released a brand new idea for them, the Bedroom in a Box, ideal for a child’s bedroom. 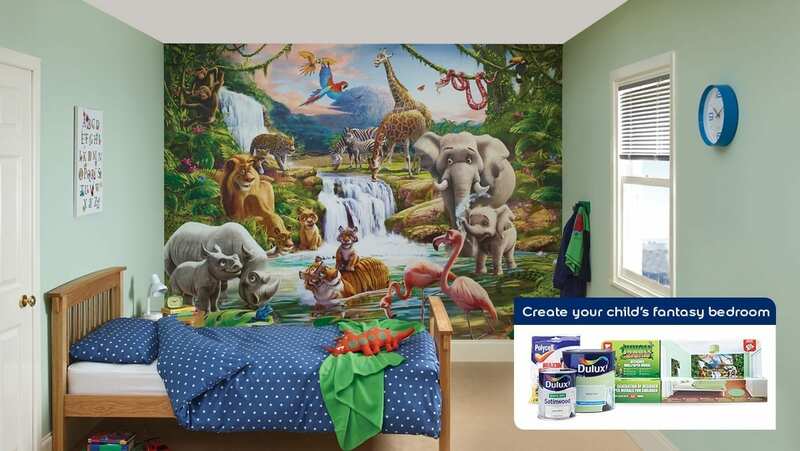 They’ve teamed up with Walltastic to put together a ready-to-go bedroom decoration kit that contains everything you need to create a dream room for your little one. I think it’s a great idea. So often, we’re never quite sure how to put paint and wallpaper together to create a perfectly balanced, well thought through scheme, and quite often we don’t have the time either. What Dulux have done here is taken that stress away and pulled together 3 products that will work beautifully and at good value too. Each kit retails for £70 and is available only on the Dulux website currently. I think the whole concept is a genius idea and will be incredibly popular. There are a few aspects that really draw me in. Firstly I love the wall mural idea. As you know I’m a huge wallpaper fan, and having a stunning wall mural on the wall is a great way to liven up a dull room and bring the decor to life. Ok, so not everyone is a Disney Princess or Jungle adventure fan, but many are, and I know my girls would have loved to have had a giant Princess watching down over them whilst they slept. Then secondly, I love how they’ve chosen paint to complement the scheme. It’s sometimes so difficult to know what kind of colours to choose, and we so often end up going for plain old white, that a soft matt pink, and a pink-toned satin is just right for the girls box. There are plans for other themes in the range too, including Sea Adventure, Peppa Pig, Avengers and Wall Art. If there’s something you’d like to see in the Bedroom in a Box kit, why not suggest it to Dulux, or leave it in a comment and I’ll feed it back. 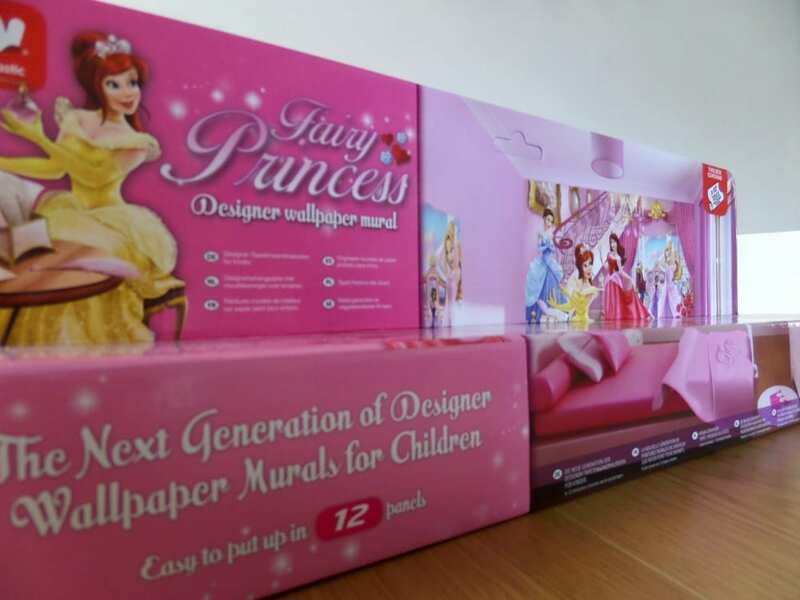 I have a Girls Fairy Princess Bedroom in a Box kit worth £70 to giveaway to one lucky reader. This is the kit I’ve been sent by Dulux, so the box has been opened and the items photographed for the purposes of this post. Then leave a comment on the blog telling me you’ve done it. 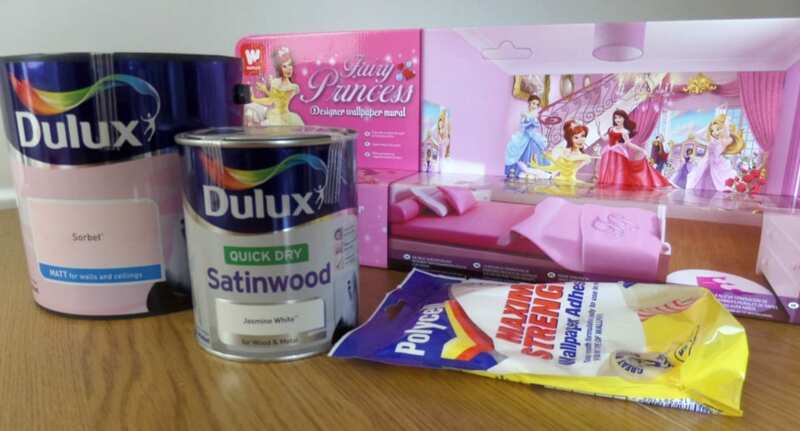 The prize is a Dulux Girls Fairy Princess Bedroom in a Box decorating kit worth £70. There is no cash alternative. Entrants can also follow Love Chic Living on Twitter, follow Dulux on Twitter and follow Love Chic Living on Facebook for extra entries. Individual comments must be left for all additional entries. Follow @lovechicliving on Facebook – do as Tracy K Nixon Thank you! I have followed all and tweeted. I have tweeted as @clairewoods32. Thanks. I have tweeted – lsmtwit! I was already following @lovechicliving! I am now following @lovechicliving on Facebook! Also follow lovechicliving on facebook…..thanks for a great competition…I think my daughter would jump for joy if she had a princess bedroom! 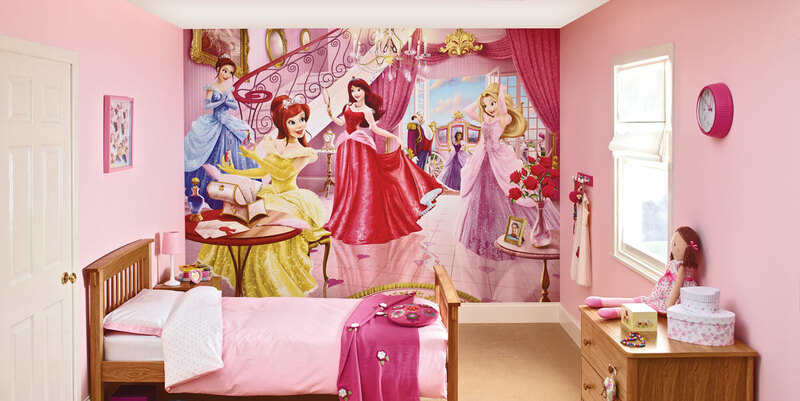 Everything crossed to win this – my daughter would adore a princess room! Tweeted, following and liked – great prize!